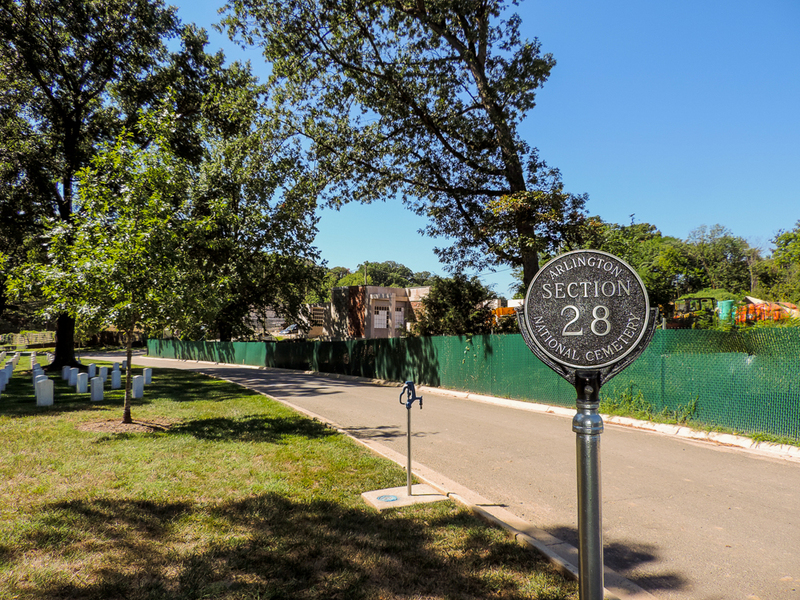 Herrera Construction, Inc. of Jessup, MD, recently had the opportunity to use their Power Curber in one of the most honored historic locations in the Washington, DC, area – Arlington National Cemetery. Located in Arlington, VA, just across the Potomac River from Washington, Arlington National Cemetery is the final resting place for more than 400,000 American soldiers from every US war, and received more than 4 million visitors each year. Herrera’s crew used their 5700-B to pour 6000′ of 16″ and 24″ curb and gutter along a new road as part of the Millennium Project, a 27-acre expansion that will add over 36,000 burial and niche spaces to the cemetery. 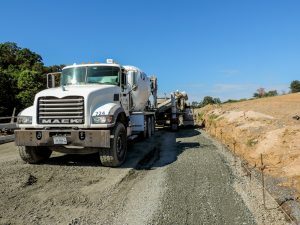 The $84 million expansion borders Joint Base Myer-Henderson Hall along the northwest corner of the cemetery’s property and will add 11,000 full-size in-ground plots, 2,600 in-ground cremation plots, and 23,000 niche wall slots. The niche slots are contained in a columbarium, or a mausoleum-type structure that is only for cremated remains. “It feels great to be part of such a historic place,” said Nelson Michaca, Assistant Project Manager for Herrera. 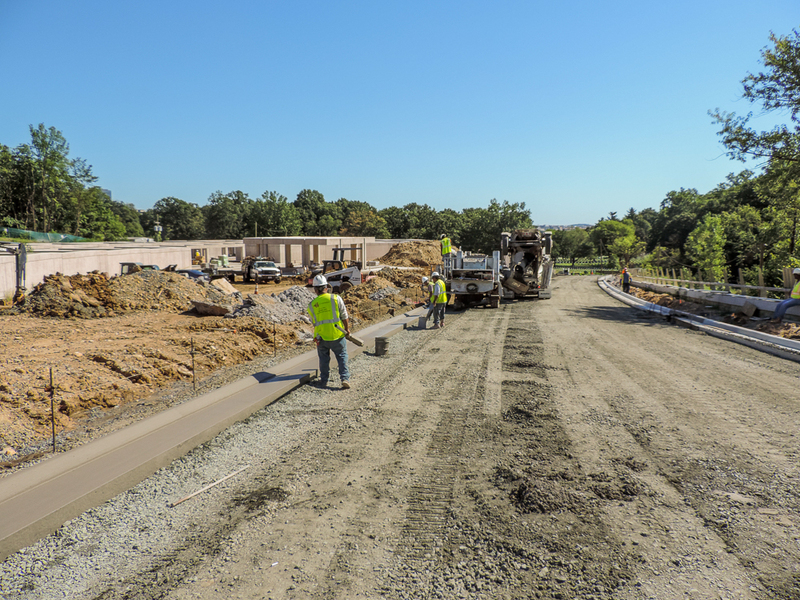 The Herrera team also poured the radius curb in front of the new columbarium, along the north side of the new road through the cemetery expansion. Herrera has been in business since 2003, when they started with only five employees. The company has grown to 30 employees doing all types of concrete work. They purchased a pre-owned Power Curber three years ago, and it has had quite an impact. “We get more jobs and get the jobs done faster,” says Nelson. Arlington Cemetery holds 27-30 funerals a day, 5 days a week. That adds up to over 7,000 new burials each year. Without this addition, Arlington would have run out of in-ground burial space by 2025. 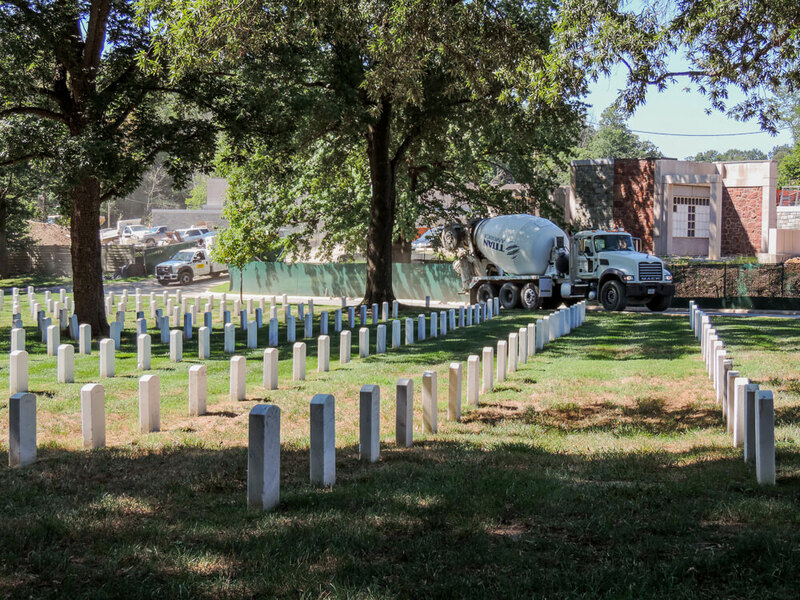 The additional burial space created by the Millennium Project will allow Arlington to continue to serve the nation’s veterans into the 2030s. A similar expansion project is planned for the southern section of the cemetery, on the site of the former U.S. Navy Annex facility. 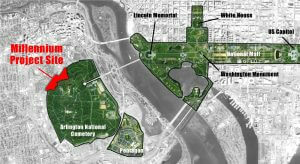 This expansion will extent the cemetery’s capabilities into the 2050s. The Millennium Project expansion is scheduled to open in the summer of 2019.